Just Jane: Spring Sprang Sprung Sproing! 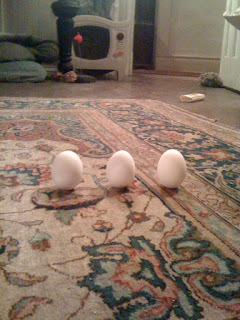 Eggs can stand on one end during the Vernal Equinox. ﻿﻿ Howl at the magic moon? Done it. Standing eggs up on end? Done it. Leaving your convertible out in the snow, with the top down? Done it. Talking your car dealership into putting a new battery in your car for free? Done it. All in one weekend? Done it. It’s been an eventful few days for me. I got an email on Friday, reminding me not to miss the full moon on Saturday night. It was the closest the moon had been to the earth since 1993, and all sorts of activities related to an increased gravitational pull were supposed to happen, like Los Angeles falling into the sea. I saw the moon through a through a hazy forest, looking like something from a scary movie. It was gigantic and yellow and round, and seemed to be almost touching the ground. I howled at it, because I was raised to howl at full moons. I figured if there was ever a moon to howl at, this was the one. Then I went inside. Los Angeles never did fall into the sea, but at least I got to see the magic moon. Sunday was the first day of spring, or the vernal equinox. And speaking of gravitational pull, it’s been said that at exactly the moment the vernal equinox takes place, you can stand a raw egg up on its end. I know this to be true because I’ve done it for many years. My mother looked it up and scientists say there is no basis in fact that this should be true. Yet, at 7:21pm on Sunday night in Upstate New York, I managed to line up three raw eggs, side by side, standing on their ends. My husband got it to work it in another part of the room, my mother did it in Pennsylvania, and a good friend got it to work in San Diego. So scientists, shmientists, it works. I love stuff like that. And the eggs will stay standing, unless of course, as in my case, the cat comes along and thinks they are play balls and knocks them all over. Mom says to make an omelet out of the eggs the next day for good luck, though I’ve never been able to connect good luck with a vernal equinox egg omelet. The omelet is good though. And the car. 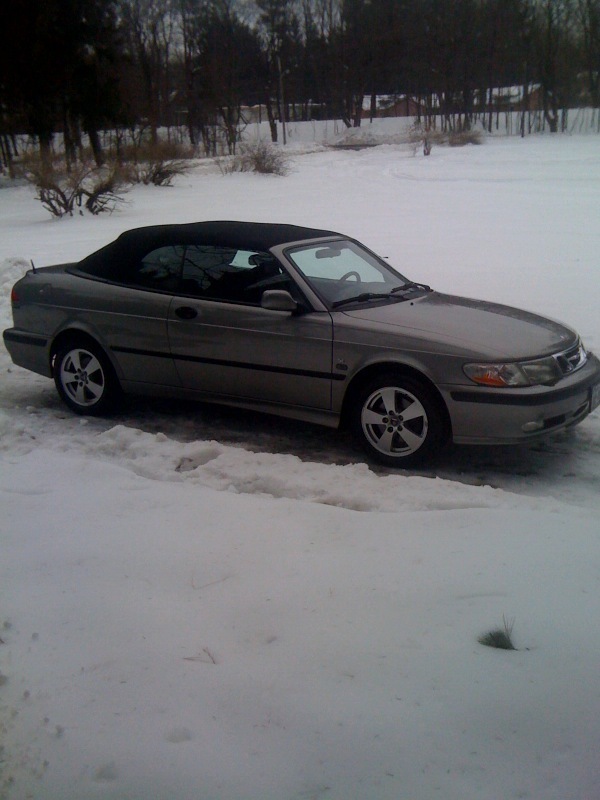 I put the top down on my convertible because it was such a beautiful day Saturday and I want to go for a ride in my sporty new ragtop. But then the car wouldn’t go. Since it was the weekend, the service dept at the dealership couldn’t help until Monday. My husband and I tried jumping it and that made it go dead entirely. So we did a damn good job of covering up the car with a tarp and bungee cords and went to bed. Luckily it was a beautiful day on Sunday, too, so I didn’t worry too much about the car. I’d deal with it Monday. 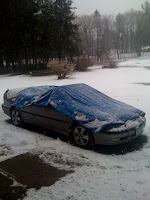 I woke up on Monday morning to a blizzard-like snowstorm and all I could think about was my poor little convertible, out there in the elements, with just a tarp to keep the snow out. After several calls and much angst, I got the dealer to come to the house with a magic box, which started the car in one try. Now the car is working, the top is up and I was even able to turn the car off - and on again! Since I’d just purchased the car a month ago, the dealer offered to replace the battery for free! I thought I was going to have one of those “you drove it off the lot” arguments, but they were very accommodating. So I don’t know if the earth’s unusual gravitational pull over the weekend had any effect on the trouble I had with my car, but let’s just hope the perfect storm of those three events doesn’t fall over three days in a row again.